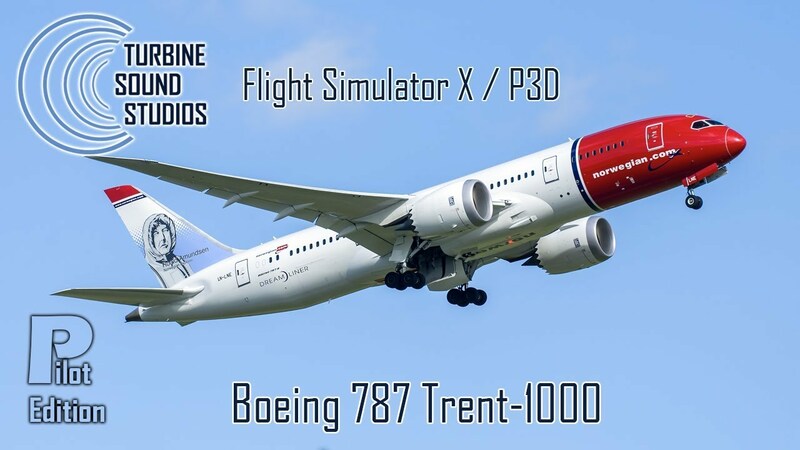 Turbine Sound Studios proudly presents the Boeing 787 Trent 1000 Pilot Edition sound package for FSX and P3D, recorded in High Definition. This Pilot Edition includes sounds as heard from the cockpit. 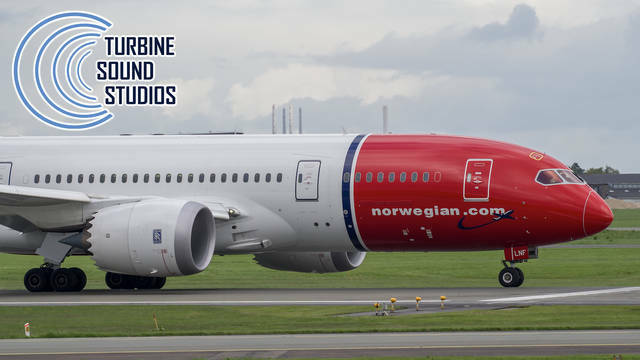 This sound package has been developed for the QualityWings Boeing 787 model but it will also work with other models. 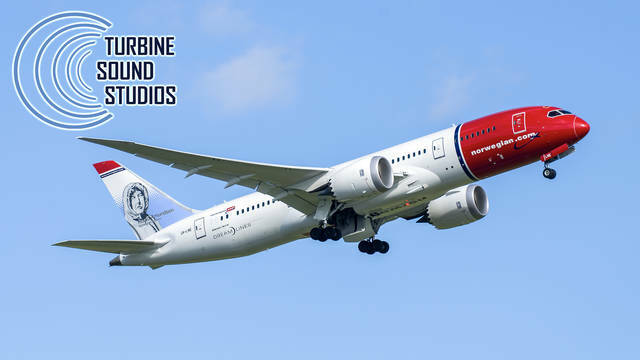 On 6 April 2004 Boeing announced that it had selected two engine partners for its new 787: Rolls-Royce and General Electric (GE). In June 2004 the first public engine selection was made by Air New Zealand who chose the Trent 1000 for its two firm orders. 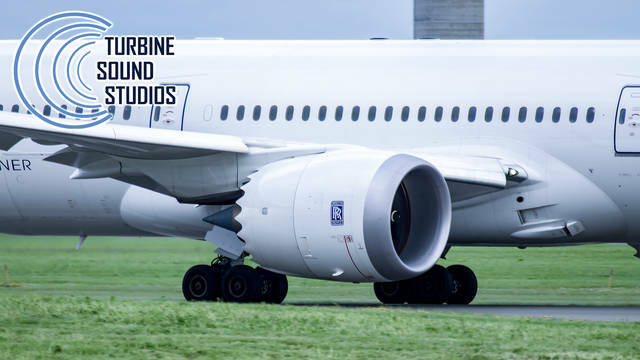 In the largest 787 order, that of Japan's All Nippon Airways, Rolls-Royce was selected as the engine supplier. The deal is valued at $1bn (£560m) and covers 30 787-3s and 20 787-8s. 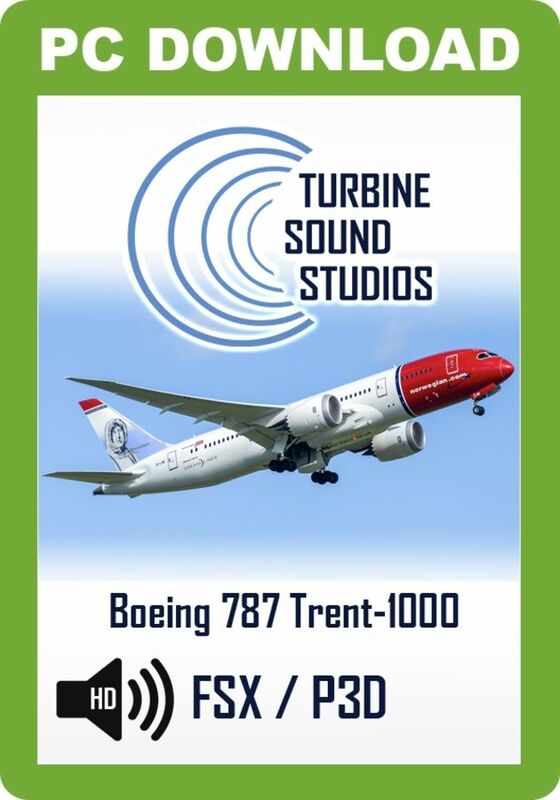 This Turbine Sound Studios Boeing 787 Trent 1000 Pilot Edition sound package includes sounds as heard from the cockpit and was recorded in High Definition. 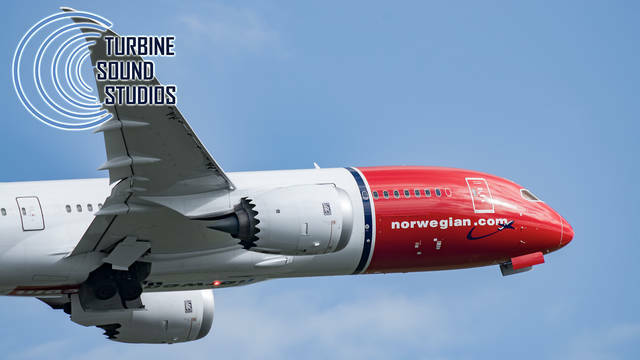 This package has been developed for the QualityWings Boeing 787 model but it will also work with other models. A total of 78 sound files are included, including external and internal engine sounds, gear sounds, cockpit environment sounds, wind sounds, separate start-up and shutdowns, and custom distance and dynamic sounds.